Of all catfishing tactics and skills, the most important and difficult is watercraft. Or the ability to know where to fish. Going out by yourself to a new body of water and trying fish while not knowing whether or not there are any fish around is extremely intimidating. So here are some ways to locate where the fish are at. When you are unsure of where to go, start by following other fisherman until you are confident enough to break out on your own. Fishing where everyone else goes fishing is generally not a great way to catch trophy fish but it is a great way to get started. Talk to your local bait shop for local hot spots and spend some time walking around places where you see other people fishing. 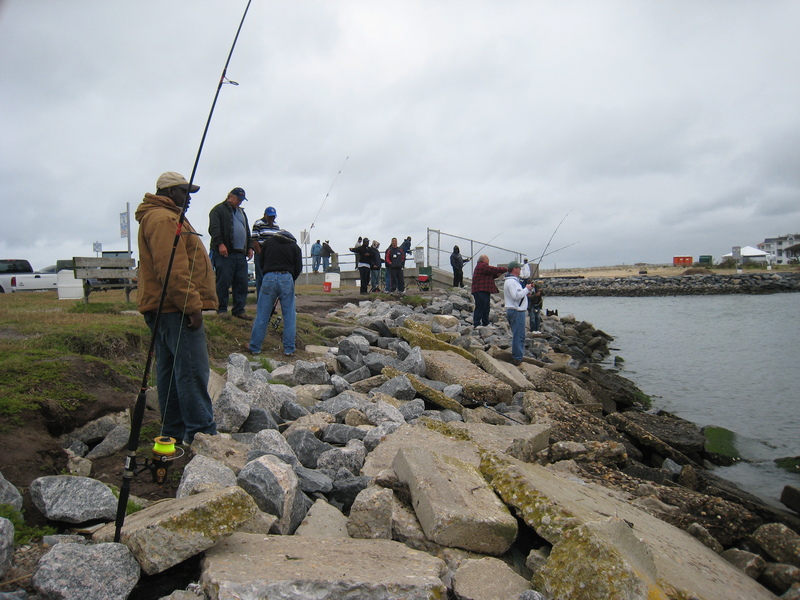 If you find a spot where other fishermen are catching fish you can get started with confidence that there are at least fish in the area. You can also peak over other peoples’ shoulders and see what they are doing to catch their fish. Once you get confidence that you know how to catch local fish then strike out on your own and start looking for better spots and better techniques. But following the crowd is a great way to get started. Flatheads, blues and channel cats have slightly different habits. 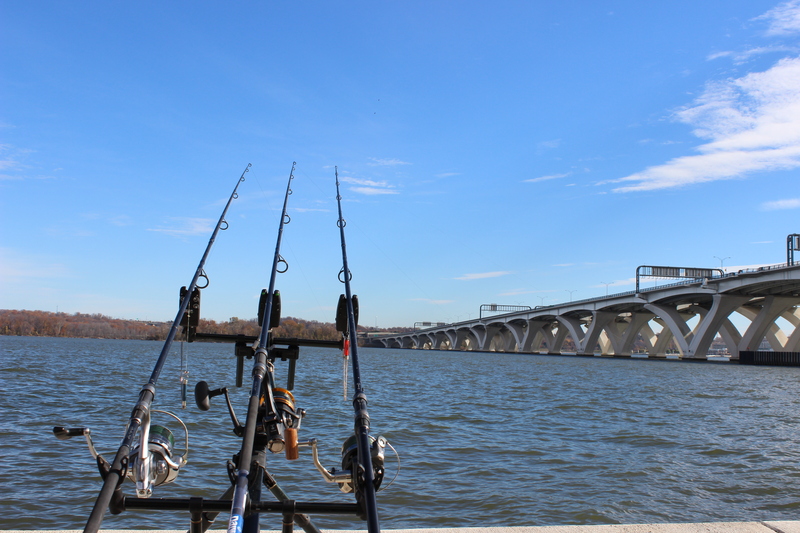 Know what you want to catch and that will dictate where and how you fish. Take the time to learn where to fish. Don’t just cast as far out as you can. Lake & reservoir fishing for catfish can be quite daunting. 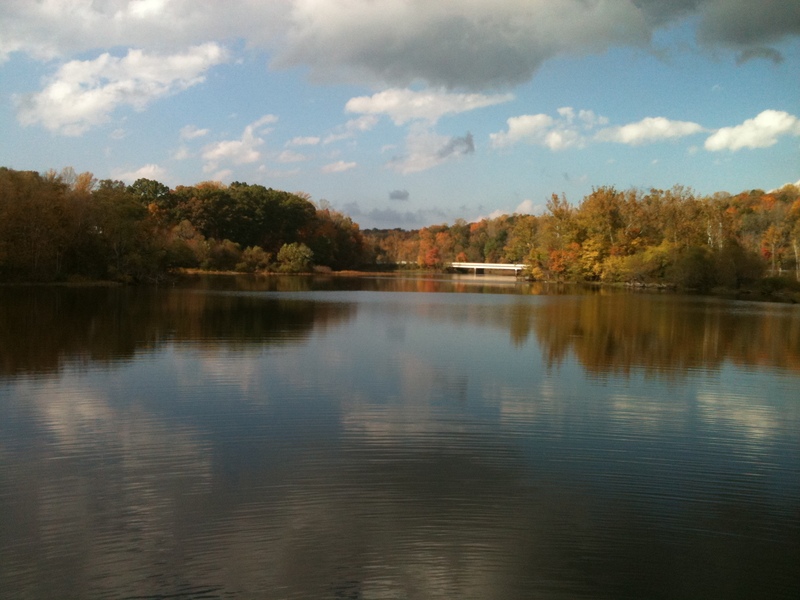 From the surface a lake looks like a vast expanse of featureless water so it can be hard to know where to put your bait. Often we are tempted to just cast straight out into the lake as far as we can, believing that farther is better. However, casting out towards the middle of lake often means we are casting over some of the best fishing. There are many lakes where I regularly catch massive cats 6 to 12 feet from the shore. When fishing on lakes and reservoirs look for catfish food and you’ll find catfish more often than not. Catfish love to eat bait fish such as shad, herring, blue gill, chubs, suckers, ect. Look for spots where these fish thrive and the catfish will be close by. The edges of reed or weed beds is often a great place. Small fish use reeds and weeds as hiding places. Catfish will often cruise up and down the edge of a weed bed looking for any bait fish that venture too far out into open water. Shore points are often a good place. Catfish will often cruise up and down the shore, prowling for the fish that hide in the shallows. A point of land, jutting out in to the water becomes a choke point where these prowling cats come close to shore. Submerged structure is classic catfish territory. Sunken trees, clusters of large rocks, gnarly submerged tree roots, undercut banks are all good places where catfish hide. There is some speculation that these spots tend to be better during the day where the fish hunker down to wait for night time hunting. Depressions and humps on the bottom tend to attracts catfish. If you are fishing across a wide flat lake bottom, a small depression or hump can be a magnet for bait fish and catfish. Finding these spots can be tricky. Fishing sonar makes locating these spots easy, but shore fisherman can use a marker float to map the bottom of their favorite fishing hole. Shelfs, channels, and submerged slopes are also particularly good spots. If the bottom is sloped catfish and other predatory fish tend to congregate along those slopes. 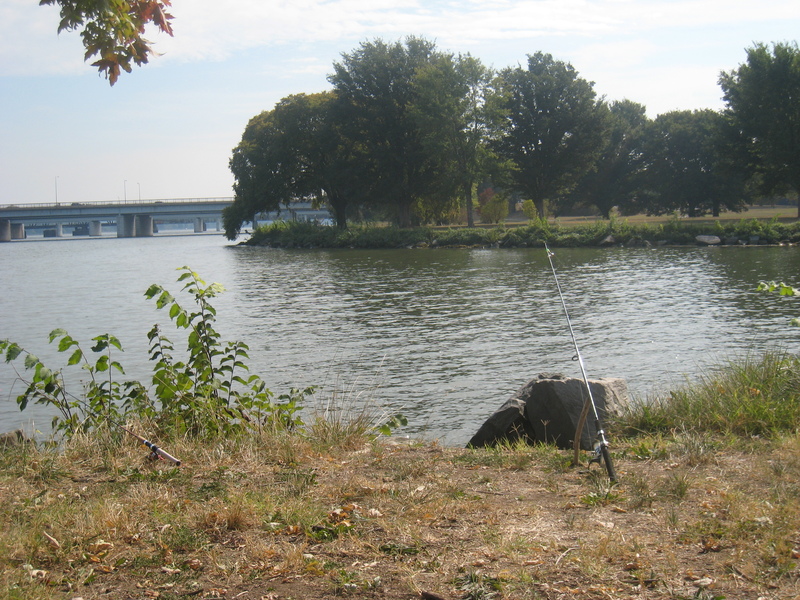 Once again, a marker float or fishing sonar is extremely helpful to finding these spots. Current affects everything when fishing in a river. In rivers, current effects everything. All fish must balance the need to feed against their constant battle with the current. Places that allow a catfish to hunt and feed without fighting the current are generally good places. A classic catfish hole in a river is a sheltered spot in the current; a place where the catfish can sit and wait for food to be swept on by while they are sheltered from the current. Trees, boulders, depression, humps, bends in the river and slews call all fit the bill. Seams in the river current are good places to fish. Where fast moving water flows past still water a seam is visible on the surface. Fishing along this seam can be amazing. Current can be used to your advantage. By using a float or bobber you can drift your bait through various potential hot spots. This transient fishing style lets you cover a lot of ground fairly quickly and helps you to locate catfish quicker. Tidal river add a layer of complexity to your fishing as the tides dramatically change the force or direction of the current twice a day. 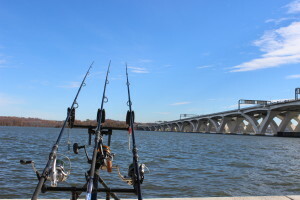 On the east coast many of the best catfishing rivers are tidal. The ocean’s tides greatly affect the strength and direction of the current as well as water levels. Paying attention to the tides is so important. In many tidal locations the catfish develop feeding patterns that revolve around the tides. Schools of catfish will congregate on the edge of shallow flats or the mouth of a stream during low tide and then follow the rising tide into the stream/flats to hunt. In channels where the current is strong catfish will hunker down in sheltered holes out of the current. Once slack tides hits, the catfish spring from their lairs and aggressively prowl the calm water looking for prey.